Don’t like maths or math? I hear this all the time from students, friends and colleagues. I am enthralled by mathematics and I am now going to explain to you how it works. First: why don’t you like it. My theory is that at school you “did” arithmetic and geometry. You did not just learn it. It was explained in terms of apples and sport and stuff of the playground. Even fractions made sense: sharing an apple equally. It was tested daily in the playground. Then the minus numbers (negative numbers) occurred. There was really nothing that corresponds to this in real life. The teacher could never explain it and you had to just believe it. From then on, arithmetic was faith. The negative number was your first introduction to the imaginary MATHSWORLD. Let me explain complex mathematics so you will no longer fear it. The diagram takes you through it. There is a real problem. 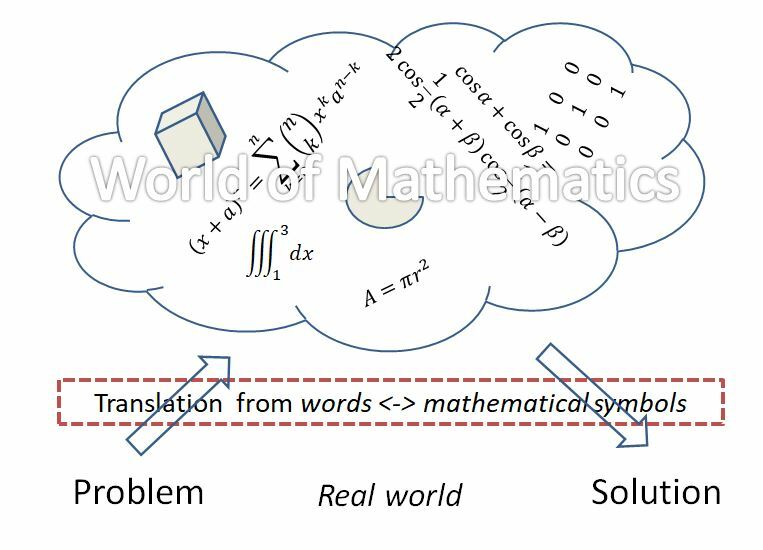 The problem gets translated into maths language using symbols. It is then transferred to MATHSWORLD. In MATHSWORLD the problem is solved using rules that have nothing to do with REALWORLD, where you live. It is then translated back into a solution in the real world. That is it. You will never understand MATHSWORLD. In fact no one really does. Not even mathematicians. They understand part of it. But not all. It has become so complex and specialized. Now with the computer proofs, parts of MATHSWORLD may never be understood. An example of this is what are called imaginary numbers. They don’t exist except – yep – in Mathworld. But engineers use them all the time. It is the reason your aeroplane keeps flying. Engineers have a problem, they translate it into imaginary numbers, solve it in the world of mathematics, come back to reality and keep the plane flying. Previous PostPrevious Is an event safer than the surrounding area? Next PostNext Master of Event Management: do it!